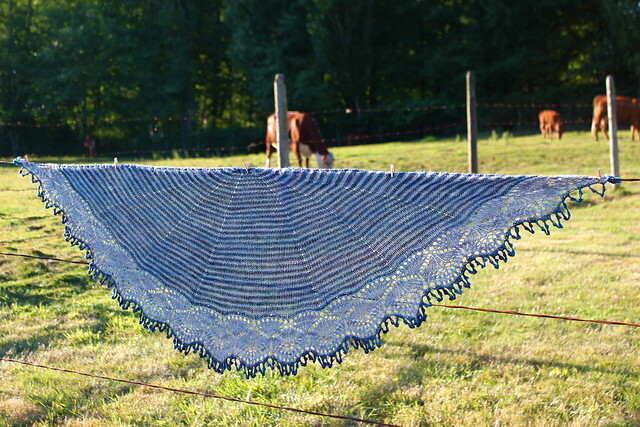 This quick-to-knit worsted weight shawl takes just under two skeins of our Cashmerino Worsted. 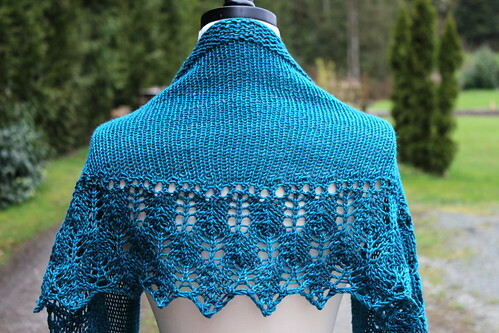 Beginning with the lace porion you work your way upwards, shaping the body with short rows and finishing off with several rows of garter stitch. 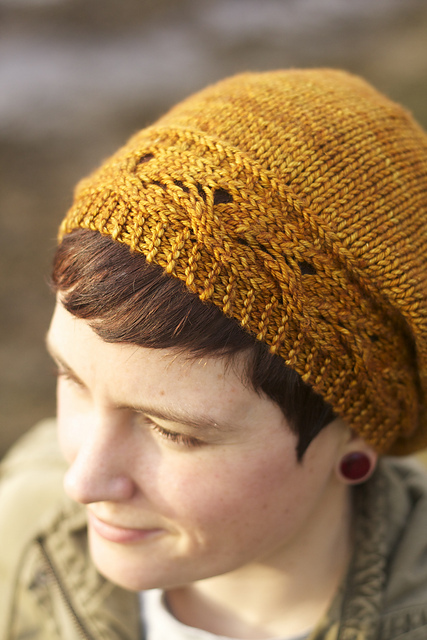 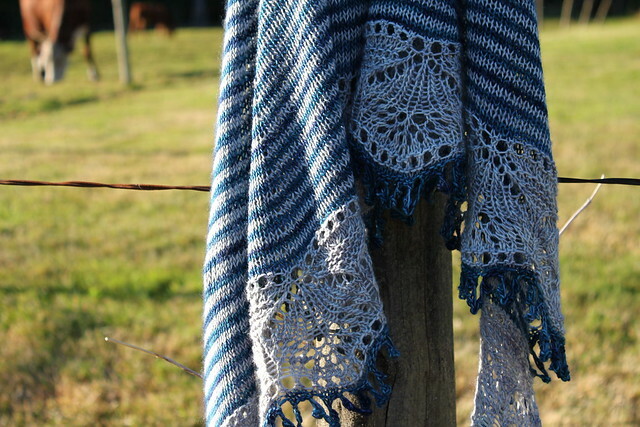 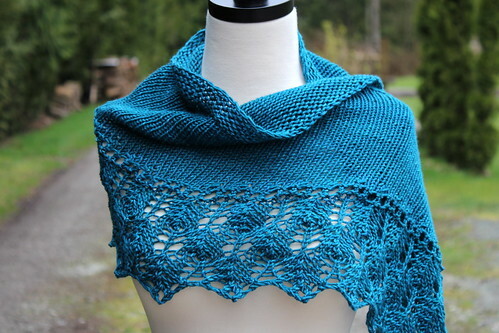 What a beautiful combination of simple stockinette and eye catching lace! 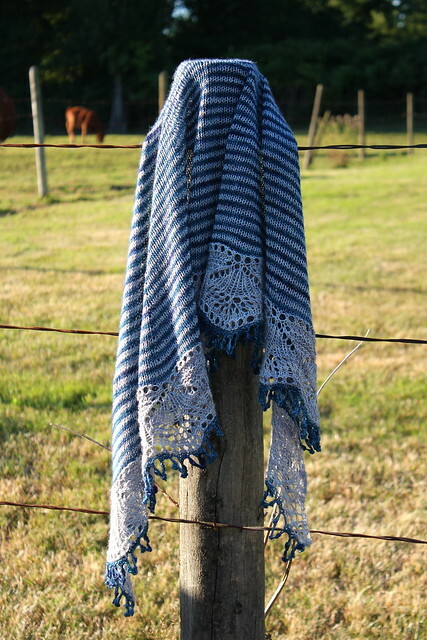 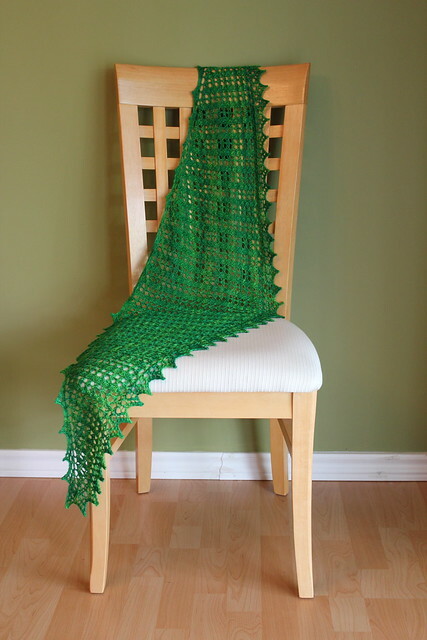 A beautiful semi circle shawl done out of one skein of our Cashmerino Luxe in Emeral Isle. 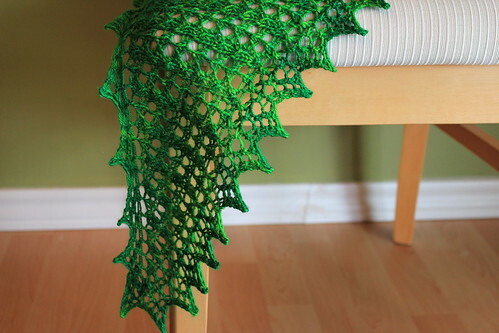 Emerald Isle is a new colourway that was first released to our Sweet Life Summer of Socks 2011 club members. 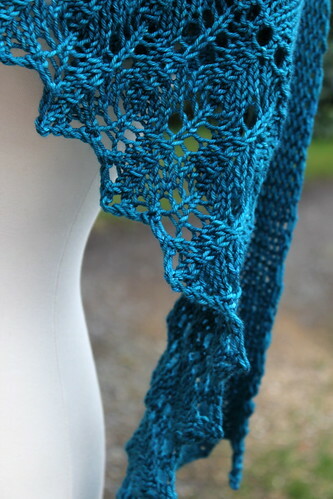 To learn more about Judy Marple's designs please visit her blog.